With the growing internet availability most of the people are now relying on online services, whether it is shopping, ticket booking, job search or even for ordering food. In this internet revolution photo printing is not an en exception. With the availability of cheaper digital cameras, online photo printing services got many takers in recent years. Main advantage with these online services are you can upload photos directly from your computer and save it for later use(or even share it with friends or family members). You have many customization options available such as size selection, finish selection, cropping, auto-enhancements etc. Most of these online services provides an option to pay online, so once the order is placed you will get the prints at your door step in couple of days! Print Quality - Quality depends on the photo paper they use(Kodak, Fuji etc. ), automatic(or manual) photo enhancements, cropping etc. Photo Uploading options - Some providers allow uploading multiple photos simultaneously, with proper error handling, photo preview etc. This is really useful when you are ordering large number of prints. Payment options - Online payment via Debit/Credit/Net Banking, Cash on Delivery etc. Processing Time - 1 to 3 days is the normal processing time but delivery may take another 1 to 5 days depends on the geographical location of the order. Pricing - Go for quality, find a service which is less priced but provides good quality prints delivered in 2-4 days. Customer Care - As in every online service, customer care is most important in online printing too. Support should be available over phone, you need this when you are stuck at online payment or the order B0248B7C-14F2-46A2-BEE6-A622C44D5493 getting delayed with no updates from the company. Zoomin is one of the popular photo printing service(along with other services such as personalized gifts, photo books, photo magnets, photo mug etc.). They offer professional service with affordable prices. A Bangalore based company with over 100 years of experience in photography is a single source for all photography needs. Started by four IIT Delhi alumni in 2006, itasveer has been into online photography and digital printing, providing quality service to its customers. Picsquare is a leading online photo service in India with head quarters in Bangalore. Snapfish, an HP company stopped its services in India in 2013, which was once a leader in digital printing. 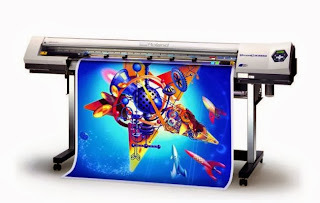 Some other online photo printing providers in India are Canvera, SnapGalaxy etc. I haven't received the product yet which I ordered from Itasveer.com. The service has been really poor. It has been more the 15 days. They were supposed to intimate the customer about the delivery schedule. Even customer care guy, Aman, don't know by when the product will be delivered. All he knows is to give silly excuses that the printing machine broke down. Someone should have told you that you are not supposed to give excuses to customers like this. Its their problem. And he is told me this when it was over half a month from order date. Very poor customer service from iTasveer.com. I have been to their office which is at 1646, Sector 45, Gurgaon. The office it set up in a basement. I have been there 2-3 time, and it was closed every single time. This is definitely a fraud. There is one more photo printing service company called Photostop. I had used their service once, I can tell it's one of the best printing service company. All services like packaging, delivery experience, print quality all are top notch. I really recommend Photostop for any printing related services. An easy change in shape of your Business Card makes your business card unique from others.Diecut Shape Cards really stands out when compared to the ordinary business cards. It's unique and attention-grabbing look make its demand high.